While American drum corps like the Racine Scouts, Cadets, Boston Crusaders and many others are deservedly proud of their longevity, a European drum corps is celebrating its 100th anniversary this summer! Jubal Drum and Bugle Corps is marking the centennial with a return to the DCI Tour this month. Dan Potter talks with Jubal Tour Director Hans Kloppert in today's Field Pass presented by Zildjian. Download and listen. (MP3, 7:37, 7.5 MB) Have a Field Pass question, comment or request? 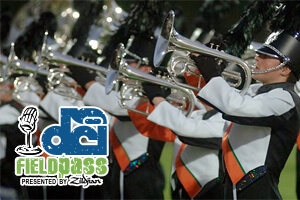 Leave a message for Dan Potter by phone at 317.275.1212 x40 or by e-mail at fieldpass@dci.org. Subscribe to this podcast through iTunes. Become a fan of the Field Pass on Facebook. Visit Zildjian.com. Field Pass archive.